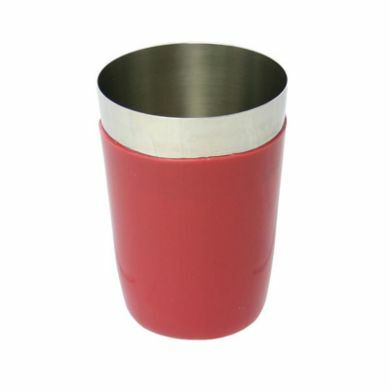 The metal cup is shrouded in a red vinyl sleeve. 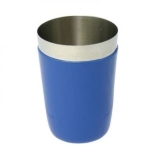 It is made from stainless steel, making it hardwearing, durable and dishwasher safe. 8oz capacity. 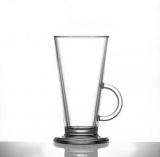 Not suitable for use with Boston can shakers.